Use your imagination to help create fun ways to collect the wine for your wine pull! The sky’s the limit! Wine Collecting Happy Hour: Ask a board member or auction committee member to host a Happy Hour at their home. 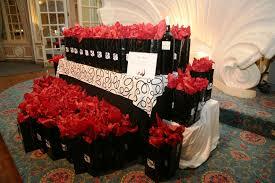 Each guest is asked to bring a bottle of wine to share and a bottle to donate to the auction. The invitation should specify that you want each bottle to be valued at least $20 or $25, (whichever is the amount you will sell the wine pulls for at the event). 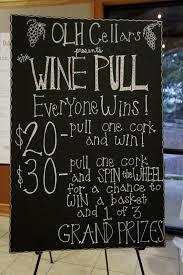 Your supporters will have a great time socializing and your wine pull will be stocked in no time! Wine Tasting and Judging Party: Ask each guest to bring a bottle of wine to share and a bottle to donate to the wine pull. This time, the bottles that are to be shared are separated into Whites/Reds/Champagnes or Sparkling wines and put into simple brown paper bottle bags to conceal the labels. The guests are allowed to taste the various wines and vote on the best ones in the various categories. A prize is given the guests who brought the winning bottles of wine. You can ask a local wine store or restaurant to bring in their wine expert to give lessons on wine judging. They might even conduct this tasting in their store or restaurant! Wine Store Wine Tasting Party: Ask a local wine store to host a wine tasting party and invite guests to buy wine that night to be donated to the wine pull. Many store owners will give a discount for each bottle purchased that night, to give your donors incentive to buy and donate to your wine pull. Some owners may also donate a wine tasting party to your silent auction. In addition, they may give you a percentage of the wine sales the night of the tasting. These are three great ways to make money from this event! Wine Registry: Go to a local store which sells wine. (This can be a small local wine store or a large chain, such as Whole Foods or Central Market.) Ask them to set up a wine registry for your event. The wine manager will go through their wine and select bottles that your donors can buy on behalf of your organization. Some stores will actually keep the purchased bottles in the store so you can pick them up on a regular basis. This makes it convenient for your donors, since they don’t have to come by your office to drop off the wine. Ask them to help you give an incentive to your donors so they will come to the store to purchase the wine. One store gave us 10% discount coupons to email out to our donors. These could be used for any bottles purchased for the wine pull and bottles they purchased for themselves on the same day. Host a School Art Show: A local school in Dallas hosts an art show displaying the artwork created by their children in art class. This is an evening event, and is a great time for parents to mingle and get to know each other. The parents’ entrance fee is a bottle of wine and they can only purchase the art work if they attend the event. They could bring a bottle to share if alcohol is not provided by the school. The art department benefits by selling the artwork and the auction committee walks away with lots of wine! Wine Sponsor: Approach a local wine seller, distributor or store and ask them to be the Wine Pull Sponsor. This is great exposure for them. Your display can showcase their business name and they can create a wonderful display of their own. They can donate the majority of the wine and pass out business cards or coupons to their store the night of your event. Include their logo on your event website, in the projection slide show, and on the wine pull display.Share your ideas! Click here, Like us on Facebook and post on our wall to share how you made a fundraising event successful or saw a great idea at an event you recently attended! We will choose one idea a month to showcase on our Blog and if yours is chosen, we will send you a gift card as a thank you!